Hi guys! I'm Elizabeth from Outrageously Elizabeth and I am filling in for Lisa today while she is out enjoying her vacation! I grew up in Huntington Beach, CA and one of my favorite places to visit was Balboa Island. It was only about 15 minutes from my house, but because you took a ferry to get there, to me it was magical! It is a tiny little island with beautiful homes, kid-friendly beaches, fun little shops, a Ferris wheel and an arcade! What could possibly be better? No trip to Balboa was ever complete without a Balboa Bar or a frozen banana from Dad's! A Balboa bar is a bar of vanilla ice cream dipped in chocolate and topped with your choice of a million different things and delicious! A frozen banana is a "healthier" version of that, or at least that's what I told myself as I got older. I felt it was my duty to introduce my oldest to what I consider a dream on a stick when she was two and she was addicted! When we go and stay on the island now she has to have one every night, so I was thinking how could I possibly recreate something like this at home, while actually being a little healthy. 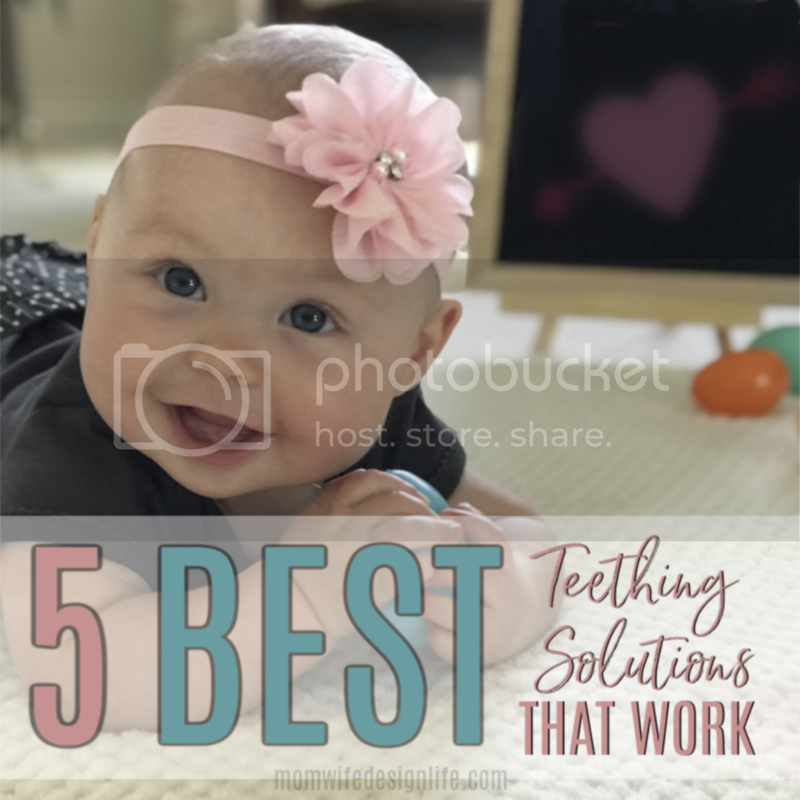 I have found such a fun and easy recipe that the girls can help me with. My little ladies are 2 and 5 and love to help me bake and create in the kitchen. I always pictured baking with my daughters being something out of a movie, we have a flour fight and laugh for hours and I don't care about the mess I know I will have to clean up. Sadly, it does not go like that! Flour does end up on the floor, but usually because my youngest Sydney has knocked something over! But with this easy and super fun dessert recipe there is no flour!! I came up with the idea of making a banana, almond milk ice cream, combining the Balboa Bar and the frozen banana and dipping it in dark chocolate and of course sprinkles! The girls had a blast dipping the banana bars and topping them. Such a fun, somewhat healthy dessert for the summer with just a few ingredients! Whatever toppings make your heart sing! 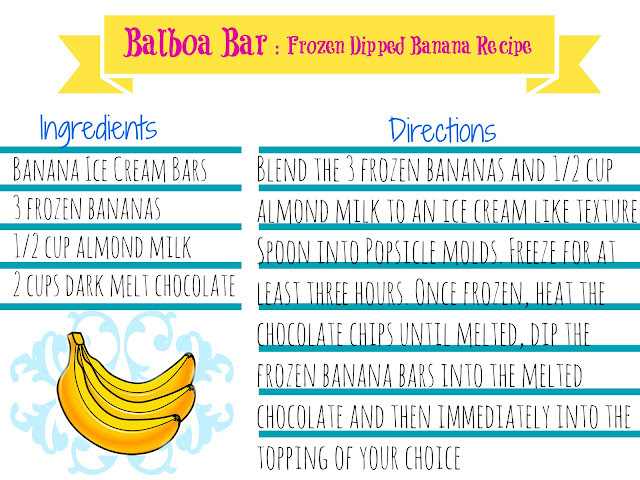 Blend the three frozen bananas and 1/2 cup almond milk to an ice cream like texture. Spoon into Popsicle molds. Freeze for at least three hours. Once frozen, heat the chocolate chips until melted, dip the frozen banana bars into the melted chocolate and then immediately into the topping of your choice, We did sprinkles and crushed pretzels. Place on a cookie sheet lined with parchment and freeze for a half hour and enjoy! These really brought me back to when I was a little lady! You can read more on my blog at Outrageously Elizabeth or follow me on Instagram @outrageouslyorangeelizabeth. Lisa created this adorable FREE PRINTABLE recipe card for you to keep! 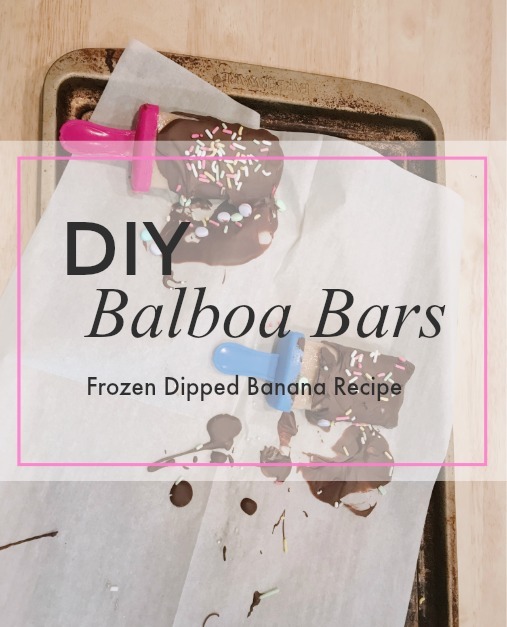 That way you will have the recipe for this frozen dipped banana recipe when you need to grab it!